As a stop gap between his fourth solo album Hand.Cannot.Erase. and whatever is coming next, The Hardest Working Man In Showbiz is keeping his audience sated with this mini-album. 4½ comprises four tracks recorded at the H.C.E. 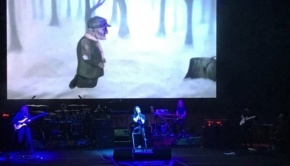 sessions, one from the Raven sessions and a studio version of a Porcupine Tree song included in the setlist of Steven’s most recent live appearances. 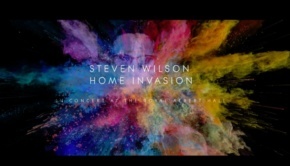 Thirty seven minutes in total, this then, despite it being longer than some albums from back in the days when popular music was actually of something of cultural significance, cannot be regarded as a Steven Wilson album proper, but it will certainly excite the fans. Let’s start with the oldest song here. Don’t Hate Me was originally recorded in 1998 – has it really been that long? – and appeared on Porcupine Tree’s Stupid Dream album, which saw them in transition from the formative years of long-form spacerock jamming, quickly evolving into the more concise song-based version of the ’Tree we observed in the latter half of their trajectory. 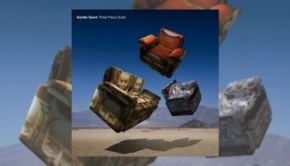 The original song retains some of the old spacey vibe, and at well over eight minutes long can hardly be called succinct. 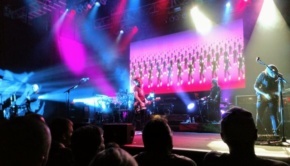 Nonetheless it is one the most memorable of Steven’s “sad but beautiful” songs in the Porcupine Tree canon. The link between the original and the new version is Theo Travis, whose sax work is the pivot on which the rest of the song swings, in both versions. Where the original was all wisps and curlicues, the new version, which is a studio-tweaked live recording from the recent European tour, goes for a bigger, more expansive proggy sound that was no doubt forged so that the song fitted into the current setlist. Personally I prefer the original, as its yearning fragility now feels somewhat trampled. Still, in its new guise it is a bit of a belter, and is therefore best regarded as a “new” song, with the higher register of the chorus lending itself well to Ninet Tayeb’s dulcet tones. At a mere 20 seconds shy of ten minutes, it’s longer too, which allows for a nice jazzy electric piano interlude from Adam Holzman, and more of Theo’s marvellous reed work, this time on alto sax. This is no bad thing indeed. That’s enough about the old one…there is one real gem hidden on this mini-album. Happiness III (I wonder what happened to “I” and “II”?) is a jolly little pop song, no, it really is, and it will have you bouncing about the room like Tigger on speed. It’s up! It’s jolly…well, tune-wise, anyway, as there still remains more than a dash of regret in the lyric. 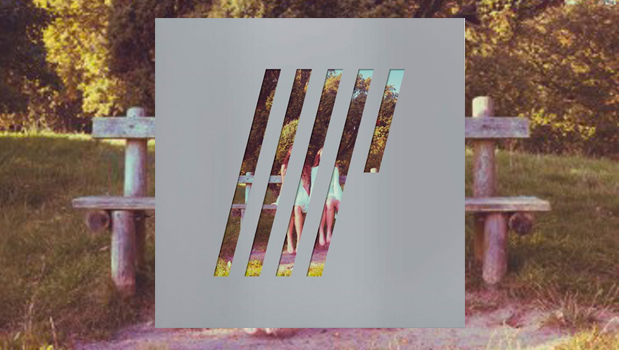 With a catchier title Happiness III would make a great single, assuming they still make things called “singles” these days! The other rather good song on here is opener My Book Of Regrets, but it does not quite hit the heights of Happiness III, being a tad formulaic in the modern Steven Wilson “prog song” way, with its trademark lyric of urban alienation. It does contain some rather fine guitar work, that can’t be denied, including a short but crafty reprise of the Time Flies Floydian riff. Year Of The Plague and A Sunday Rain Sets In are top-notch, if inessential instrumental interludes, the latter being the best. Filmic in extremis, this tune could be running in the background of an arthouse spy movie. Vermillioncore is a fine five minutes worth of Steven’s best heavy alt-prog, where the band get to stretch out. Naturally the tune builds to a rifftastic crescendo, zipping along like a speeding bullet train. Nothing out of the ordinary, but it ticks all the right boxes, and the fans will love it. 4½ is by no means essential, but it is definitely one for the fans. The album is released on 22nd January, and the fans have no doubt have pre-ordered it in droves, and yep, that includes me. I just can’t leave it alone, despite appearances to the contrary.